Ever need to place an object evenly along a polyline or spline? For example, you may want to divide a plat into equal sections or 40′ sections. For whatever reason, you can do this easily using the DIVIDE or MEASURE command. By default, these commands place point objects, but they can also place a block of your choice. Even better, you can rotate the block along the polyline or spline if you want. If you want to place a point object, first set a point style that you can see. If you want to place a block, create the block. If you use a block, be sure that the block’s insertion point is at the center of the block, so that the block will be nicely centered on your polyline or spline. 1. Start the DIVIDE command. 2. At the Select object to divide: prompt, chosoe the object along which you want to place the points or blocks. 3. At the Enter the number of segments or [Block]: prompt, enter the number of segments you want to create, or enter b to use the Block option. 4. If you use the Block option, at the Enter name of block to insert: prompt, type the block’s name. At the Align block with object? [Yes/No] : prompt, enter y or n. Then the Enter the number of segments: prompt returns. Specify a number. AutoCAD places the points or blocks evenly spaced along your object..
1. Start the MEASURE command. 2. At the Select object to measure: prompt, select the object along which you want to place the points or blocks. 3. At the Specify length of segment or [Block]: prompt, specify the distance between points or enter b to use the Block option. 4. If you use the Block option, at the Enter name of block to insert: prompt, type the block’s name. At the Align block with object? [Yes/No] : prompt, enter y or n. Then the Specify length of segment: prompt returns. Specify a spacing. AutoCAD places the points or blocks spaced at the distance you specified..
How do you use the MEASURE or DIVIDE commands? Leave a comment! If you found this post useful, please use the social media buttons below to share it with others. I am trying to use the divide command on a closed polyline to place a simple block along its path. The command is working except that the blocks are not evenly spaced with some of the blocks overlapping. The object I am trying to divide is a series of pline arcs and lines that form the outline (perimeter) of an airplane fuselage (fuse former). The division and blocks will be the stringer locations. Each former is a slightly different size but each will have the same number of stringers spaced wider on the larger formers, and narrow on the smaller ones. I would think that the divide command would evenly space their locations but as I said, the spacing is way off. I tried the measure command with a guessed spacing and one side of the former was spaced as indicated but the other side had as many as 4 blocks overlapping each other. What is going on? I fail to type a right name when the block name is asked. 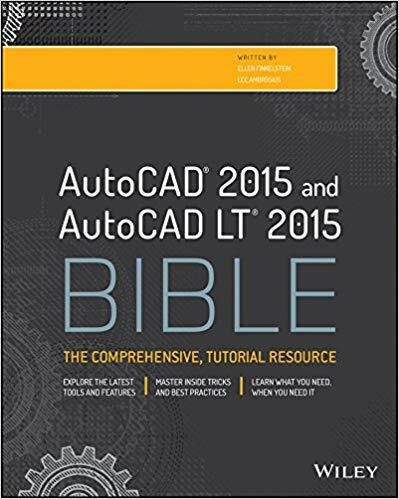 Could you please tell me what to type as block name while dividing a polyline or any other object in autocad 2007. The block has to exist in the drawing. So create the block first. It worked. Thank you so much mam. the only thing to ask you about this command is, whenever I divide an object made of poly line (open or closed) into segments it displays the similar shapes as the object (on the dividing points) instead of blocks on the boundary of the object.please tell me what to select in the block list in pick points,and properties of the object in quick select while making a block list.Is it possible to make a block list for ever. Or should I make it every time I want to divide an object. You can save a block in a template and start drawings from that template. You can also save it in a drawing and import it from that drawing whenever you need it with the DesignCenter or a Tool Palette. regarding multicolored line…in which I first loaded MLSTYLE having name & description MULTICOLOREDLINE,two colors red & green, offset 0, linetype DASHED2…but I am confused about the CAPS, ANGLE & FILL….I clicked in START & END boxes..and set angle 90,45 or any other 2-digit angle up to 170…and always found a perpendicular line….It is very clear to me as long as I choose an angle value then it is always a perpendicular line….I tried to set the angle 0 & 180…but it didn’t work…if offset to all lines is 0 then it shows a singlecoloredline…so I had to set one offset 0.5…and it showed a rectangular figure with two colored perpendicular lines on start, mid point & end. please tell me what to select in CAPS…and what about the AGNLE & FILL. I did used the DIVIDE command to devide one line in to 5. There is a cross sign and I would like to put circle on that cross but there is no guide, there is OSNAP is on. Ho to get the circle on the cross? DDPTYPE might be what you’re looking for. It specifies the type of point object. It could be the insertion point of the block. I’ve also sometimes had unexpected results. I have a very repititious task that divide is perfect for where I need to divide an arc into 4 equal segments with a block. I want to be able to set up a button where I hit the button, pick the arc, and the “block, block name, alignment, and segment number”, are automatically filled out. I’ve tried a script and macro commands but it always hangs on the user input after selecting the arc. Is there a way to automate this or am I just dreaming. I have info on creating a custom command at https://allaboutcad.com/tutorial-create-a-custom-command/ and creating a script at https://allaboutcad.com/tutorial-automate-tasks-with-a-script-file/. If that doesn’t work, you can start thinking about AutoLISP. hi i was wondering if u have a spline in an offsett curve say its length is 8.5″ total, and i want to match its lenght while making another seperate offsett spline. I do sheetmetal layout and want to match the two archs and they both are differnt in curved shape but also have to match in lenght, so it can be welded as a flawless seem. I have set points the second one has to pass through, but i notice when i copy the first one and start moving the control points through the set points its lenth changes. I have to be able to change it, but the lenght has to never grow or shink.It must hold to 8.5″ in lenght? Please help me thanks!! I want to create an array along a path with items evenly spaced, no more than x distance apart. Got any ideas? I use AC to supplement GIS work and found that MEASURE sure is a painless way to insert (block) tics for street addressing layout (house numbers). This will probably cross topics but I wish to auto number incrementally these tics (blocks) when MEASURE places the blocks within the drawing if such a thing is possible. I have two blocks TIC_EVEN and TIC_ODD. I have set a block attribute “Prompt” for each respectively to “Enter first EVEN number address” vice versa for the ODD block. I have searched for hours for a solution to this with no avail. Is there a routine whereby MEASURE would pause long enough to allow user input of starting number for the block that will be inserted; line height of course, rotation of text would always be 90° and independent from the block, then proceed with automatically inserting the blocks while automatically incrementing the number for each? This sounds like it would need an AutoLISP routine. Block attributes would be ideal to enter the text, as you noted. I think you would want to incorporate into the AutoLISP routine the calculation that MEASURE does and then have it place the block for you. If the block has an attribute, then it should pause so you can enter the text. This article was very helpful for my task! Thank you so much! That measure command is great. I need to place blocks exactly 6,000 metres from centre to centre on a curved 3D polyline. Measure and divide measure along the arc: When the arc is 6,000 metres, the straight line between the 2 endpoint of the arc is 5,998 metres. Do you have a solution to place the blocks at exactly 6,000 metres? I am looking for a long long while for a solution now. Several people said Civil 3D might have a solution. Thank you all for the useful questions and their effective answers. Is there any way to insert a block on a poly line at specific point only for one time? I mean I do not need to repeat the blocks at several segments. I used this command today for the first time in my 12+ year career. It turned a fearful task into the simplest determination for number of holes of a certain spacing around the outside of a specific font. Amazing! Thank you for the tip and trick! BTW I specifically used the DIVIDE command, divided my polyline total length by the spacing that I specifically needed, and it plotted the number of holes accurately. I know, this is one of those commands that you need occasionally, but when you need it, it makes a difficult task so simple. By the way, if you’re just arriving here, I invite you to join my newsletter so you won’t miss new tips as they come out. 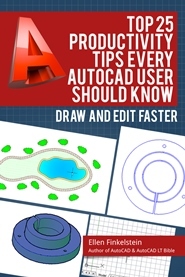 https://allaboutcad.com/subscribe-to-the-autocad-tips-newsletter-and-get-a-free-dynamic-blocks-tutorial/. However, when entering ‘b’ as the option in Measure commandm the block aligns as required with the polyline but, no text appears for me to edit. Where has it gone? Does using a block attribute not allow attribute editing when used in the measure command? i wanna ask if there is any command to erase the divide points easily,because sometimes i made more than 100 point, therefore its so difficult to select them one by one..
Have you tried using filters? For example, type Erase, hit enter, type ‘filter. When the filter box opens select point from the selection menu, click on Add to List, then click on Apply. The filter box will disappear and take you back to the drawing (note: you are still in the Erase Command) and just window the area where the points are that you want to erase. How can you control the placement of the blocks, i.e. on which specific side of the polyline you want? For example when placing the houses along the side walk, you would want them to be on the lot property zone, not in the traffic zone. Hope to hear from you soon. Thanks!